It’s official. Caleb is mobile. 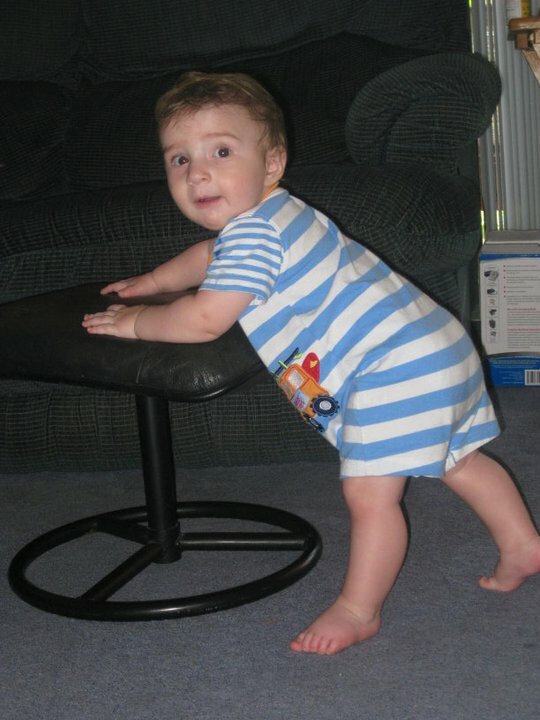 For the last month Caleb has been lunging forward onto his hands and knees, recovering from there to a sitting position, and also occasionally crawling forward slightly. On the day that Caleb turned 7 months old (the 17th) that all changed. All of a sudden Caleb took off crawling! That was only a little over a week ago but he’s already gotten quite skilled at getting around! He’s also now pulling himself up on stuff on a regular basis. I’ll post a video when we get back home. This entry was posted by patti on Monday, April 25th, 2011	at 1:09 pm GMT-0800	and is filed under Uncategorized	. You can follow any responses to this entry through the RSS 2.0	feed. Both comments and pings are currently closed.